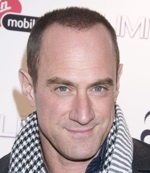 Christopher Meloni appears likely to join the cast of Legendary Pictures’ Jackie Robinson biopic, 42, Variety reports. Meloni, who stars in the upcoming Man of Steel and who will be appearing on the forthcoming fifth season of “True Blood,” would play Brooklyn Dodger manager Leo Durocher. 42 is already set to star Chadwick Boseman as Robinson and Harrison Ford as Branch Rickey, the Major League Baseball executive who signed him. Brian Helgeland, who wrote LA Confidential and Mystic River, will write and direct the project, which is expected to enter production soon.